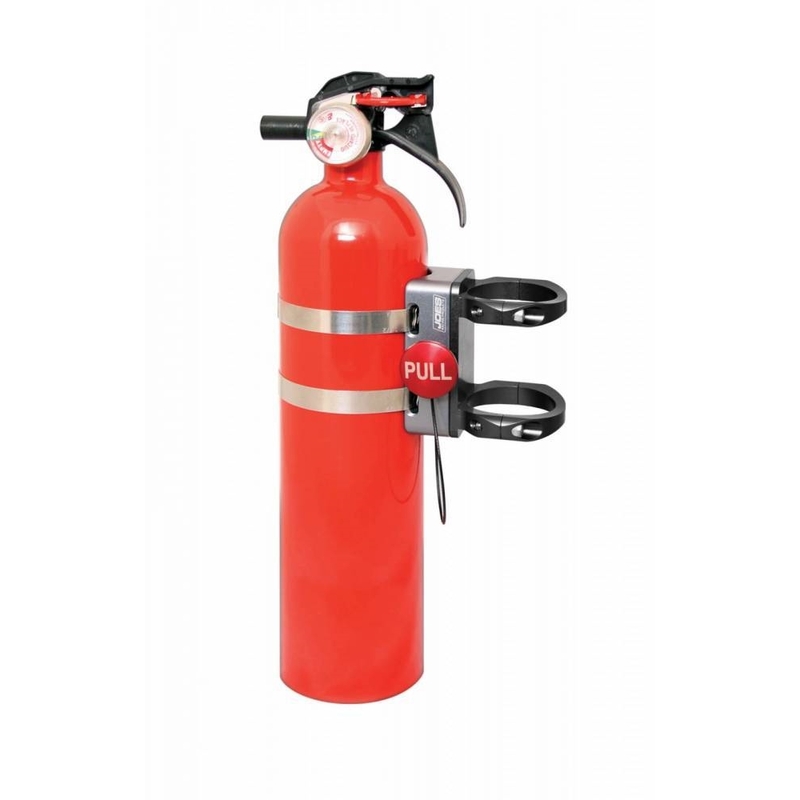 JOES engineers have come up with the best billet fire extinguisher mounting bracket on the market. 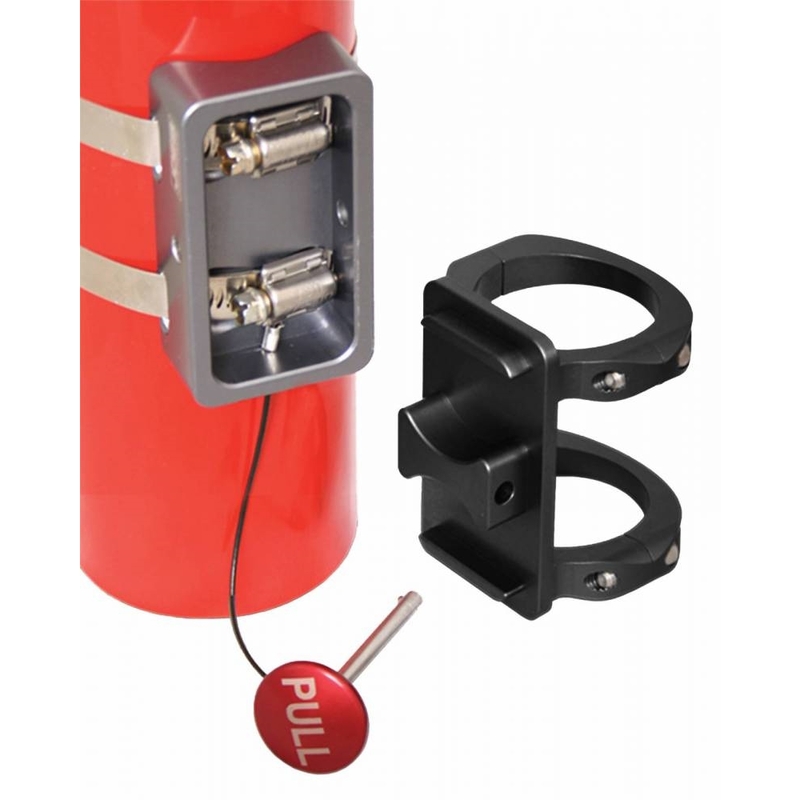 The pull pin has an oversized billet knob that is red anodized to spot quickly. The mounting housing is strong and indexes for a quick connection. Hose clamp screws are hidden in the housing for a clean appearance. Use the Panel mount in your car, at the shop or in your trailer. Works great for small Nitrous bottles too! 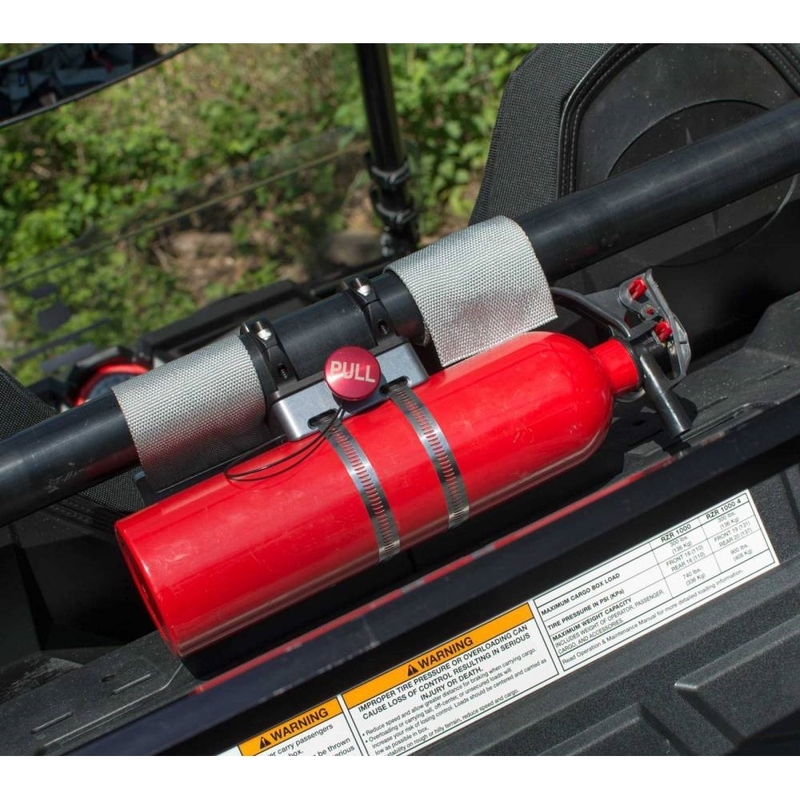 Roll bar mounts are available in all popular sizes with a panel mount option as well. Anodized grey.